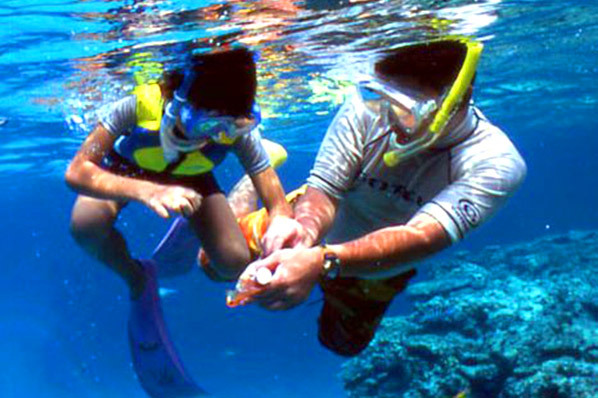 Even without diving materials, you can still enjoy watching the tropical fish that swim in the coral reef surrounding Zamami. All you need are a snorkel and some fins! There is a huge variety of fish that live near Furuzamami beach and Nishibama beach, and the impressive snorkeling experience you can have there is great for small children and elderly people as well. If you are lucky, the sea turtle will be seen.